Speech Sprouts: Summer School Speech Therapy- Let's Go Camping! 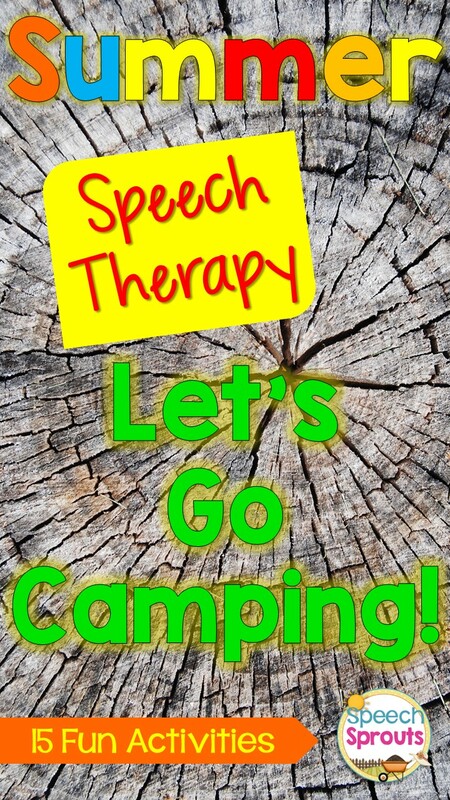 Summer School Speech Therapy- Let's Go Camping! You'll need a campfire. (What's camping without a campfire to sit around?) Make your campfire from orange, red and yellow tissue paper. Stuff the "flames" in a metal bucket or in the middle of paper towel tubes for "logs." An electric tea light in the center would make it even better. Grab a couple of bag chairs and put them next to the fire. Put a cooler in between them. You can make a "tent" by draping a sheet over a small table or over a rope. If you have a small pop-up tent, use it. Your children will be thrilled! If you'll be working at a table, try throwing a red, checkered tablecloth over it to set the mood. 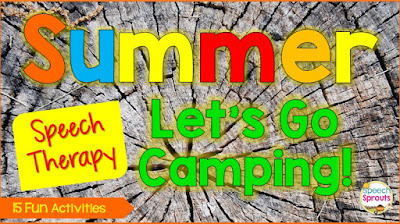 A Camping Spree with Mr. Magee by Chris Van Dusen a funny, rhyming misadventure! 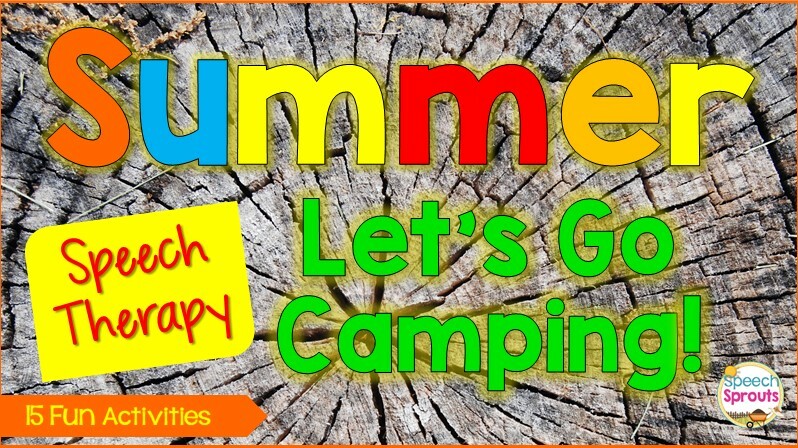 Toasting Marshmallows: Camping Poems by Kristine O'Connel George These are lovely poems. 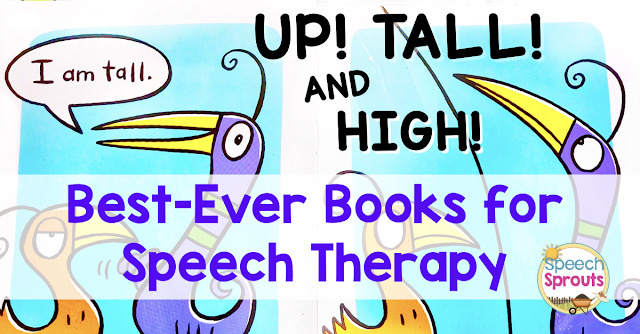 Explore this book with your older students for vocabulary development. 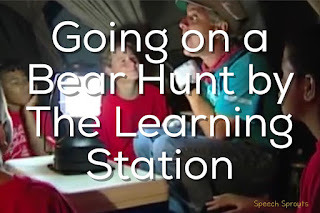 Check out The Bear Hunt by the Learning Station for some fun music and movement. 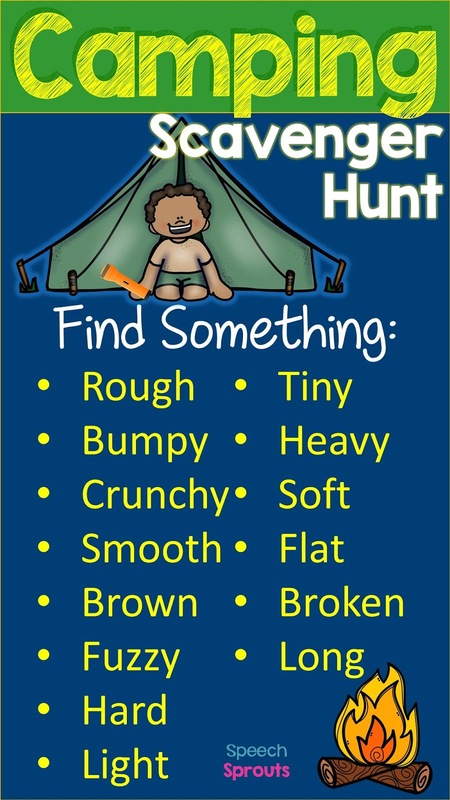 It's terrific for positional concepts and verbs. Tell the children you'll give them clues, and they need to they need to guess which forest animal it is. For instance: This animal is black with a white stripe on it's back. It can smell quite stinky. What is it? Skunks have just the right amount of "ewww" to fascinate my children. 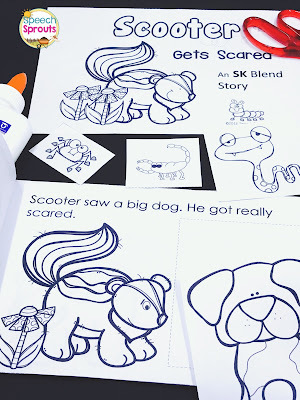 This little cut and paste reader features a funny skunk, targets /sk/ blends and has a funny ending. 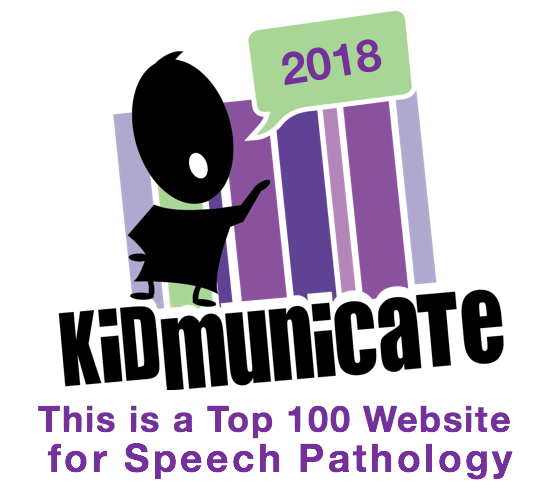 From my Articulation and Language Activities for SK pack. Fun cut and paste reader for S-blend practice. 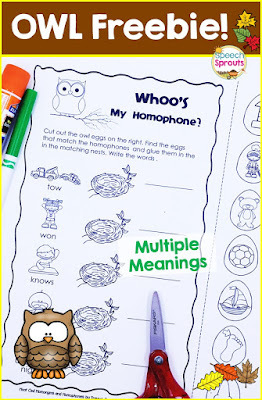 Whoo's my Homophone is feathery free download for you in my store.. Please leave me some love when you grab it (feedback in my store), it's appreciated! Stamp some Stars for S-Blends practice. Grab dark blue construction paper, a star-shaped cookie cutter and a bit of yellow tempera paint. Dip the cookie cutter in the yellow tempera and stamp it on the paper. 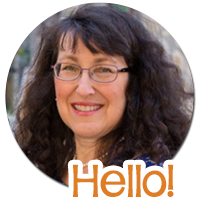 Have your articulation students say "star" or "stamp a star" each time. 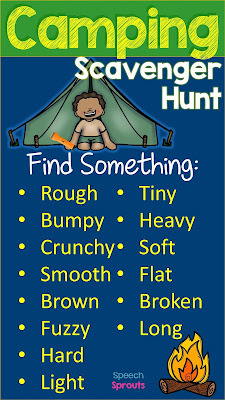 Go on a scavenger hunt outdoors. Have your children predict what they'll need to make s'mores. Describing: Feel, taste a bit of each ingredient. Is it crunchy or soft? Smooth or rough? Sweet or sour? Categories: Name more foods that are crunchy, soft, or sweet. What else can you make with chocolate? You may want to "roast" the marshmallows over your "campfire" on a stick before putting your s'more together.. What does "roast" mean? what else can you roast? What other food can you cook over the campfire on a stick? Put half a piece of graham cracker on a paper plate. Add a piece of chocolate, then a marshmallow and top with another half graham cracker. Now it's ready to cook. 15 seconds in the microwave should do it. Be careful they're not too hot in the center. Squish and eat! When you are finished, talk about how the ingredients changed. Describe the s'mores using "senses" words. How did it feel, taste, smell, look? Did they feel hot? Sticky? Gooey? Have a good old-fashioned flashlight hunt for any target. Turn off the lights and give the children flashlights. 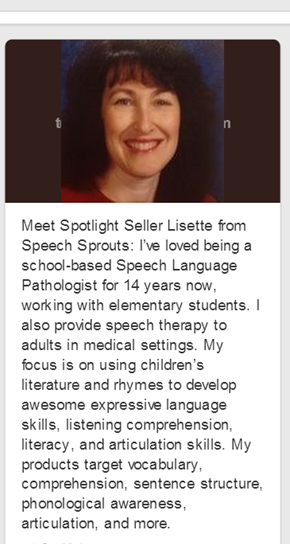 Have them find or illuminate articulation or language cards.